Many of my blogging friends posted their ten on ten photos yesterday with GORGEOUS photos. Mine on the other hand is some quick shots documenting the day, nothing fancy or artistic about it:-) It's about all the mental energy I can muster at the moment. But here they are for your viewing pleasure. The morning tornado strikes again! Nora, Nora how do your flowers grow? I was awake most of the night with all sorts of things running through my brain. Finally got up at 3:00 a.m. to write to-do lists and draft some emails to try to clear my brain. Back to bed at 4:30 but didn't get to sleep until 5:30. Why is it you can finally get settled into a deep sleep about the time you need to wake up?? I am predicting a tired mom today! A few of the things I have going on this week: tons of email and phone call communications, kindergarten round-up presentation, carnival details, teacher appreciation activities, PTA breakfast for students and teachers.... and that is just school commitments there is also the laundry piles and all the other regular household stuff to try to squeeze in. Great guess Katy:-) We did go with the VW Jetta Sportswagen TDI (diesel). 2 days home and I am loving it. We especially enjoyed the extra large panaramic sunroof yesterday on the gorgeous spring day. Though we have realized having the girls sitting closer to each other and closer to us makes for a bit more noise. I am just waiting to hear "She's touching me!" come out of one of their mouths. In fact, I have been pretty lousy with my camera use lately. 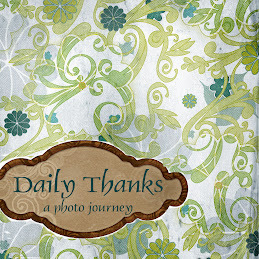 Definitely have slacked off on my Project 365 and am revising my Project Life album to reflect that. And I am absolutely fine with that. I am sure I will have more than 365 photos in the end. But some days I have 5 I want to share while other days I have nothing and I don't want to be forced into taking a photo just for the project. Okay, off to get the crazy week started. Hope everyone else has a great one! !